Ryan Kaine: On the Run by Kerry J Donovan is an action adventure story, introducing the character of Ryan Kaine in what promises to be an exciting new series. The novel concerns itself with the murky world of arms companies vying for government defence contracts. The opening is shocking, setting a morally ambiguous tone when Kaine is duped into shooting down a passenger plane and killing 83 people. This act sets in motion a chaotic and violent series of events and leaves Kaine struggling with his own conscience. The pace of the story is break-neck, leaving the reader with barely enough time to draw breath. The speed is emphasised by the way Donovan uses dates to head up his chapters. The whole novel is set over a period of a week. The dates also underscore the military background by creating a precise, report like style. Despite the action-packed nature of the story Donovan does a great job with characterisation. Multiple viewpoints are used in a 3rd person narrative which allows the reader to get inside the psyche of all the main characters. Ryan Kaine himself is a middle-aged ex-Captain in the Royal Marines, left adrift when government cutbacks led to him being retired from service at 39. I think Donovan does a great job of highlighting a real problem for people who spend a large part of their adult life acquiring skills that are not adaptable to civilian life. Like many ex-service personnel Kaine finds himself drifting through freelance work for not always reputable agencies. The military aspect of the novel is very convincing. Kaine calls upon former colleagues to help him out and the banter between the men lends an air of authenticity to the story. There is an unspoken code between them and Kaine trusts them with his life. Fans of The DCI Jones Casebook series will enjoy the guest appearance by DCI Jones who Kaine trusts to process the damning information he unearths and it’s probably no coincidence that Jones also has a military background. It’s gratifying that the female characters in the novel hold their own. 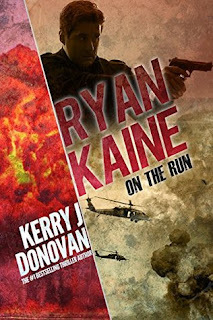 Dr Laura Orchard is a military widow and vet who helps Kaine and goes on the run with him. She is capable and resourceful and the blossoming romance between the two of them is the perfect foil for the otherwise stark landscape of the story. My favourite character however is the IT expert, Sabrina Faroukh. Her insight and internal commentary about the people around her show her to be intelligent and spiky. Donovan hints at Sabrina not being who she seems which adds an added layer of mystery. Regardless of the violence and dark subject matter Donovan uses his villains to inject some humour into his novel. 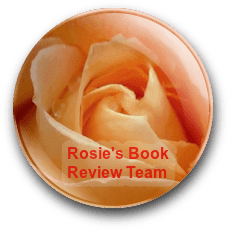 Several of them are psychopathic shadowy figures, creating a sense of almost pantomime villainy that allows the reader to relish the violence that is meted out to them and a guilt-free satisfaction when they get what’s coming to them. One of the things that I particularly enjoyed about the novel is the fact that Donovan chooses to place a series of extraordinary events within a very ordinary setting. The story begins in the seaside towns of Cleethorpes and Mablethorpe which makes an intriguing change from the more traditional exotic settings of espionage. Donovan’s skill as a writer is stamped all over this novel, in both the control he exerts despite the speed of the plot and the way he builds the tension to an almost fever pitch. There is a lot of violence but I didn’t find it gratuitous or excessive. I really enjoyed this introduction to Ryan Kaine and it would make the perfect holiday read. If you’re looking for escapism with lots of action and adventure then this is one for you. Thanks for a supportive and comprehensive review, EL. Fabulous review :-) Can’t wait to read this!